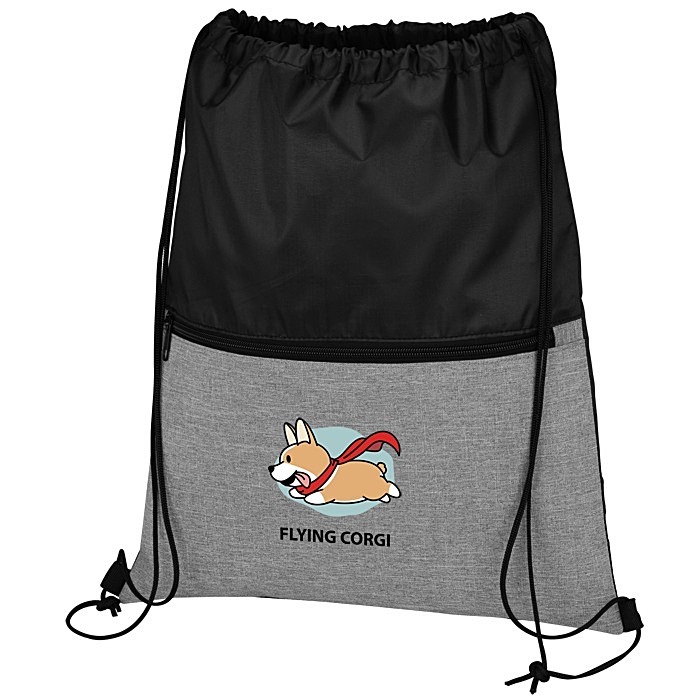 Personalize this pocket sportpack for your promo! Sportspacks are a must-have for students, athletes, tradeshows and much more. Pack clothing, folders, notebooks and other bulky gear in the roomy zippered main compartment. Dual black drawstrings cinch the bag shut and can be worn like backpack straps for a comfortable carry. Zippered front pocket provides additional storage for smaller items. Bag is made of durable polyester for long-lasting use. Available in a variety of bold colours all with a contrasting black trim. Size: 425 x 355mm (16-3/4" x 14"). 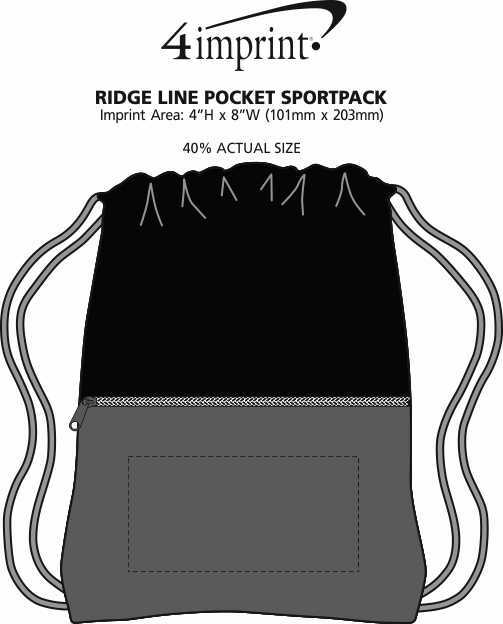 Your price includes a one colour imprint on the front of the sportpack.